Completely remade from the grave up! MediEvil follows the story of Sir Dan, an unlikely champion who met an unfortunate end on the field of battle. He receives a chance at redemption when his nemesis, the evil sorcerer Lord Zarok, accidentally resurrects him 100 years after that fateful day. Lord Zarok seeks to conquer the Kingdom of Gallowmere, and only the skeletal Sir Dan stands between Zarok’s army of the undead and the kingdom he swore to protect. 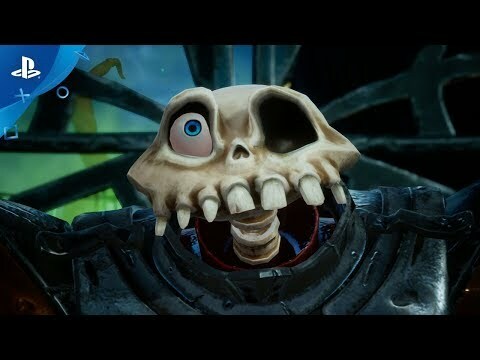 The upcoming MediEvil PS4 release date is 2019 in the US and the UK. Notify me when MediEvil PS4 is available. Rumour: Is MediEvil Getting a Playstation 4 Reboot?